COLONIE – The No. 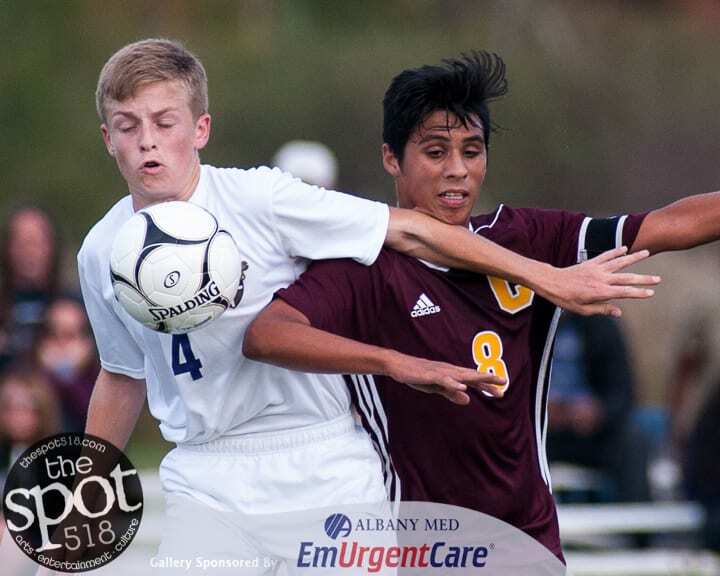 4 seed CBA won the first round of the Section II Class AA tournament by getting by the Garnet Raiders, 3-1. Rafael Enrique Holguin scored in the seventh minute of play and Brady Van Epps scored a minute later and again in the 65th minute. Robert Amore had an assist for CBA. Senior Andrew Shaw scored shortly before the half for Coloine. Nate Langlois had three saves for Colonie and Danny Kelly had a save for CBA. CBA will play another home game against the No. 5 seed Bethlehem Eagles, who beat the No. 12 seed Troy squad 4-2 on Thursday.